It is my pleasure to welcome Linda Cain today as our Guest Creative Guide. Linda resides at ‘Friends In Art’ where she shares with us the most amazing projects. She has a very eclectic style and every time you visit you are welcomed with a different vintage, retro, steampunk style creation that entices you in and leaves you with a head full of ideas and inspiration. 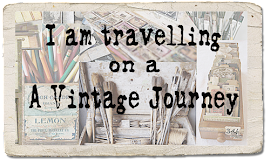 Hello everyone, Linda Cain here as your Guest Designer on A Vintage Journey. I started my journey with Tim Holtz at my first CHA show several years ago in Chicago. I’d gone there with a couple of friends to see the “Master” in action. As I recall, I stood for at least 2 hours and watched him demo. I was hooked! Distress Inks and Glossy Accents just called my name, and the black Archival Ink on stamps was just perfect in my opinion for great contrast. So I practiced what I learned and loved every new thing that came out each year at CHA. I was lucky enough to make it to Ranger U and made wonderful friendships with many people that I still treasure today. Then I was honored to be asked to be a member of Tim’s first Design Team, and had several pieces in his booth at CHA shows. It’s been a wonderful journey using the vintage and distressed techniques in classes that I taught around the Midwest, and I will never forget the joy on student’s faces when they finished an Altered Art project of their own. It’s one the greatest joys of my creative adventure. So today I designed 4 little Matchbox Treasures that can be given holding gifts or used as decoration in your home. I used several dies from Tim Holtz, papers, and Idea-ology pieces, along with found objects, to create treasure boxes you can fill with presents for Christmas. I loved these Skates from the minute I saw them. To make them go with the gold rickrack, I added Alcohol Ink. The gold pinecone pick and twine are hot-glued to the top. Here you can see the little drawer that slides out in which you hide your treasures. I used a large gold Christmas Tree charm for this box. The relatively plain paper really lets the tree stand out. Some more coloring with pens and a plastic red ribbon fits perfectly on the tree top. Red Tinsel Trim is glued to the sides, and white pen dots along the sides make the tree pop from the dark green background. You can make these as simple or as elaborate as your creativity allows. I'm giving hand-made earrings and perhaps some "Christmas Green" to the kids in them. Poppie always asks them, "What's a girl’s favorite color?" They learned at a very young age that the right answer was always “green”....that he then gave to them in the form of money. Thanks so much to the people at A Vintage Journey for inviting me to play here today with you. Be well and have a wonderful holiday! Thank you so much Linda for these four wonderful vintage gems and the lovely story about Christmas green. The matchboxes fit in perfectly this week for our ‘Let’s celebrate’ challenge and of course with it being Christmas day on Thursday when so many of us will be opening our gifts to see what’s inside. I would like to take this opportunity to wish each and every one of you reading this, our super talented team of Creative Guides, our readers and challenge participants a very happy Christmas with much love, joy and peace at this special time of the year. 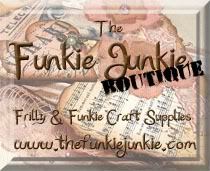 Welcome Linda - thank you so much for sharing your talents with us here at A Vintage Journey. I have been a fan for a long time now and always enjoy your makes. Your little matchboxes are delightful. Merry Christmas. I just left a comment but don't see it so here goes #2. You are one talented and lucky lady Linda! Ranger U and CHA?!?!! Awesome sauce. You have truly inspired me and I thank you very much. Now I just have to get into CHA! What lovely little boxes Linda - each one so wonderfully decorated for the holidays! A great way to give a little gift to someone - the box is a gift in itself! Thank you so much for joining as at AVJ as Guest DT today - such sweet and creative inspiration for us! Such a delight to see you Guest with us at AVJ today, Linda. Your little boxes are the perfect little surprise to adorn a tree. I love the nostalgic feel to them. Merry Christmas to everyone and I look forward to us all sharing our Creative Journey in 2005 here at AVJ. Linda, I love your little matchboxes, and I'm going to borrow this idea for my son's gift this year if you don't mind...so hard to buy for at 16 years. I made some matchbox (real match boxes) ornaments and would love for you to take a look for a completely different perspective on my blog. I really like that you have made YOURS functional! Merry Christimas! Wonderful to see you here today Linda, I always love your projects and these boxes are no exception! Fabulous makes, thank you for the inspiration!! How wonderful to have you share your talent with us Linda. 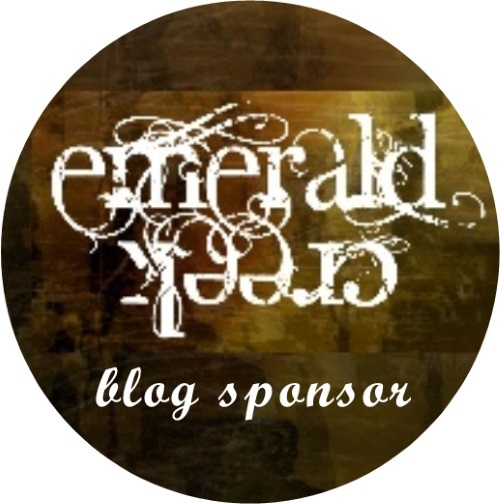 Your matchbook projects are very inspiring! What a fabulous festive make - thanks so much for joining us on the journey, Linda!